This entry was posted in Alberta Animals, Alberta Birds, Bird Books, Bird Conservation, Birding, Blogging, Canada Birds, General Birding, Nature and tagged Alberta Bird Feeding, Backyard Bird Feeding: An Alberta Guide, Bird Books, Ellis Bird Farm, Feeding Birds, Giveaway, Myrna Pearman, Prairie Birder. Bookmark the permalink. My favourite bird (birds) are Black-capped Chickadees. They come 4 or 5 at a time to the feeder in front of my window. Such a joy to watch them. 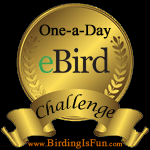 The link to Ellis Bird Farm page goes to Prairie Birder instead. Thanks for the catch Gerry. Black-capped Chickadees are my favourite feeder birds. There are 4 or 5 all day long at the feeder in front of my window. Such a delight. Everyone, please remember to mention in your comment if you have “Liked”, shared, or tweeted (if you’ve already liked our pages, that still counts). Great idea! My favourite feeder bird is the Black-Capped Chickadee. They are so cheerful, trusting and unafraid. They even nest in a birdhouse just outside my balcony door. I enjoy all the birds….but the downy woodpecker is my favorite as they don’t mind me getting close at all. Red Breasted Nuthatches too – they are sooo agile, scrappy and fun to watch! The upside – down bird, Nuthatch is my favourite feeder bird I like the raspy type voice and the sometimes arrogant or questioning looks from it !! Chickadees! Such cheery little guys. I’m always in awe how they survive our Alberta winters. Liked and shared. Nuthatches always bring a smile to my face! It is difficult to choose just one, but now that the redpolls have returned for the season, they;re my favourite! My favourite feeder birds are nuthatches, they’re so cute and fun to watch! gotta be red breasted nuthatch and chickadees!! I’ll go with Pine Siskins. Two years ago we had a pair that stayed around all winter, using our feeders daily. Those little birds have big presence – when they are at the feeders, other birds wait. Any birds trying to scare away these Siskins, or even share the feeder with them, quickly discovered it didn’t work that way! For some reason we called the pair Bert and Ethel. The Red and White Breasted Nuthatches are for sure my favourites! I have to choose just one? Hummingbirds. Downy woodpeckers.xome second. Boreal chickadees are probably my favourite! They’re like the rarer cousin of the black-capped chickadees─a bit more elusive, but still adorable! I have liked the two Facebook pages. chickadees and the red breasted nuthatch! My favorite feeder bird would have to be hummingbirds. Love them all 😀 I am happy to see any/all come to my feeders. Downy woodpeckers are so friendly, nut hatches are comical. And my favorite in summer has to be hummingbirds, the rest of the year it would have to be northern flickers, they use the whole yard and entertain constantly. We really enjoy the pair of Downy woodpeckers that come to our yard. Winter brings Many Chickadees, Downy , Hairy and Pileated woodpeckers , Nuthatches and Blue Jays but summer is when my Favorites come the Baltimore Orioles and Rose Breasted Grosbeaks .. The redpolls are plucky, spending the winter with us. I have “Liked”, “Shared” and “Tweeted”. My new favourite are Cardinals down here in Ontario. My favorite bird is the black capped chickadee – so friendly and so many hours of bliss watching them and playing with them! For many years didn’t feed the birds, as I had a kitty who was a good hunter, and didn’t want to lure birds into her reach. Even then, though, my lilac bushes and mock orange were full, all winter, of black capped chickadees and white throated sparrows. So loud, sometimes, that even through the thick double glass of old fashioned storm windows, all you could hear was the twittering. So yeah, those are my two fav species. Liked and shared. Would like to win the book, but even more just want word to get out about these great groups. I started feeding the birds in my area about 20 years ago and marvel at all the different birds that visit each season. My feeders are always full in the winter with woodpeckers, redpolls, chickadees, flickers and of course low and behold our sparrows. Now that I have grandchildren they love to watch the feeders full and the window must be open so they can hear the chatter. Chickadees and Red Breasted Nuthatchers are my favorite and most frequent visitors. I shared, liked and tweeted!!! I always get so excited when I see pileated woodpeckers at my feeder, so I’m going to go with that bird! I love the little chickadees … I could listen to them all day!!! It’s very difficult to choose one, but I think I’d choose the nuthatch (either red or white breasted) as they are comical as the flit around and run up and down the tree. That being said, the magpies are hilarious as they swing away as they attempt to eat at the feeder, and I always get a thrill having any kind of woodpecker visit my suet. I love the chickadees and nuthatches in winter. Liked and shared. I get pretty excited when I get the nuthatches and the downy woodpeckers at my feeder. But then, I like to see all birds at my feeders. I like them all so hard to pick a favorite but if I have to it would be the black capped chickadee. Liked your page. Thanks for the chance to win this beautiful book! Love the black capped chickadee, they are happy little guys. Tweeted! Would love this! Soon moving into a home near Fish Creek Park so there should be plenty of birds to feed! Loving the chickadee dee dee dees!! Liked and shared. I adore chickadees and nuthatches, they are so delightful and expressive! i love to watch the woodpeckers that come to my feeder.I Wish i could attract more pileated but they are a little shy as I live in the city. When I still lived on Lake Wabumun, I used to get grosbeaks (Pine and Evening) at the feeder under the kitchen window – so very beautiful. Liked both pages and shared to mine.